GEG has successfully completed the detailed geotechnical and environmental assessments of a portfolio of in excess of 30 peaking electricity power stations across the UK under the Short Term Operating Reserve (STOR) requirement. The power stations are generally gas-powered and generate between 20 MW and 50 MW of electricity for the National Grid at times of peak demand. 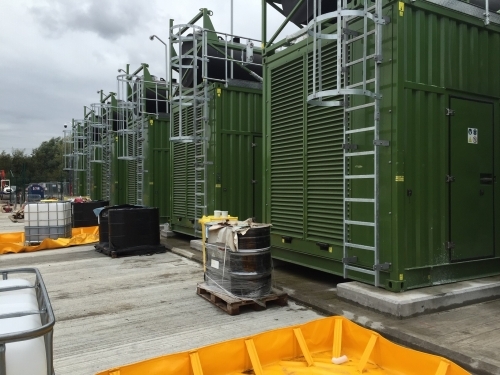 As battery storage capacity technology continues to improve, GEG has also commenced the assessment of a number of sites for a new generation of battery storage facilities for peak demand use for the National Grid. The power station sites are usually located in contaminated areas with a significant industrial legacy such as gas works, oil refineries or factories and former collieries; or geotechnically challenging sites such as coastal marshes underlain by 15-20 metres of very soft clay. GEG has significant experience in this niche market and expect it to expand further to coincide with the decrease in high carbon-based power generation and the increase of renewable energy sources such as wind and solar which have inherent natural power outages.